Material: Hypoallergenic metal with high quality 14K Gold Plated. 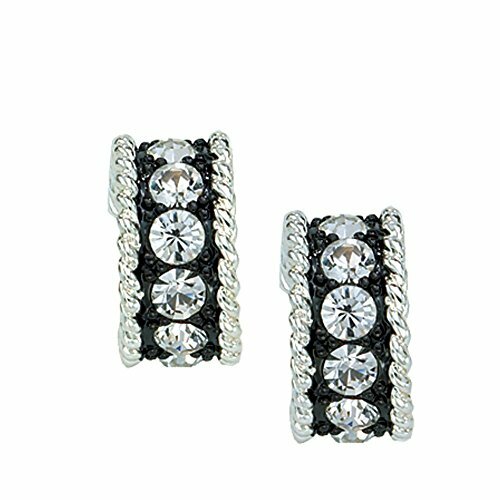 Huggie Hoop with shiny rhinestones earrings for women & girls, Match with Suitable Apparel for Different Occasion. A Perfect Gift for Christmas Day, Valentine's Day, Birthday, Anniversaries. Beautiful Gift for Girls, Women, Mother, Grandmother, Daughter, Wife, Girlfriend, Sister, Aunt, Mom, Mum, Mother-in-law, Anniversary, Grandma, Nana, Granny. Occasion: Party, Wedding, Anniversary, Engagement,Christmas, Birthday Gatherings. 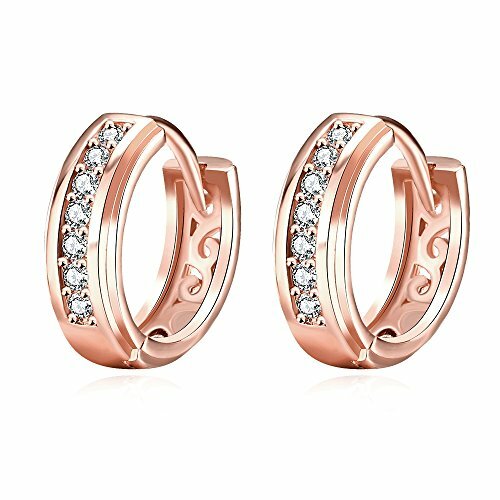 15mm Small Huggie Hoop Earrings,14K Gold/Rose Gold Plated CZ Cubic Zirconia Hypoallergenic Studs For Women Teen Girls Sensitive Ears Jewerly Care Tips: a. Keep it dry and don't wear the jewelry when bathing, swimming. b. Please keep the jewelry away from perfume, cosmetic and any other chemicals. c. Perfume is also corrosive to jewelry. Wear your perfume before putting on the piece. Our Service: 100% SATISFACTION GUARANTEED - Your satisfaction is our eternal goal. We try our best to make sure every piece of our products arrives in best quality and condition.If you receive a defective product, please contact us immediately. We will offer free replacement. 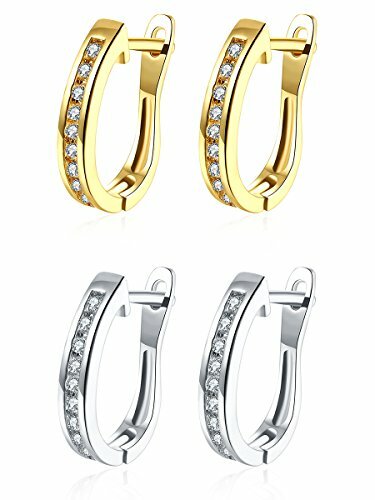 16MM Small Huggie Hoop Earrings,14K Yellow Gold/White Gold Plated Small Inlay CZ Cubic Zirconia Hypoallergenic Stud Hoops For Women Teen Girls Sensitive Ears Jewerly Care Tips: a. Keep it dry and don't wear the jewelry when bathing, swimming. b. Please keep the jewelry away from perfume, cosmetic and any other chemicals. c. Perfume is also corrosive to jewelry. Wear your perfume before putting on the piece. Our Service: 100% SATISFACTION GUARANTEED - Your satisfaction is our eternal goal. We try our best to make sure every piece of our products arrives in best quality and condition.If you receive a defective product, please contact us immediately. We will offer free replacement. 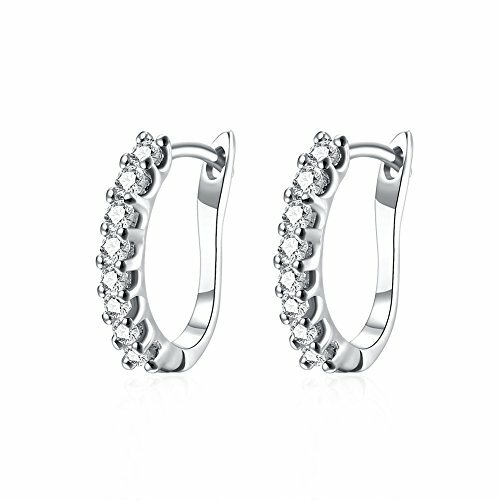 14mm Small Huggie hoop earrings,14K Gold And White Gold Plated with Small Inlay CZ Cubic Zirconia Hypoallergenic Hoops For Women Teen Girls Sensitive Ears Jewerly Care Tips: a. Keep it dry and don't wear the jewelry when bathing, swimming. b. Please keep the jewelry away from perfume, cosmetic and any other chemicals. c. Perfume is also corrosive to jewelry. Wear your perfume before putting on the piece. Our Service: 100% SATISFACTION GUARANTEED - Your satisfaction is our eternal goal. We try our best to make sure every piece of our products arrives in best quality and condition.If you receive a defective product, please contact us immediately. We will offer free replacement. Material: Stainless steel with high quality gold plated, with CZ Zircon very shiny. 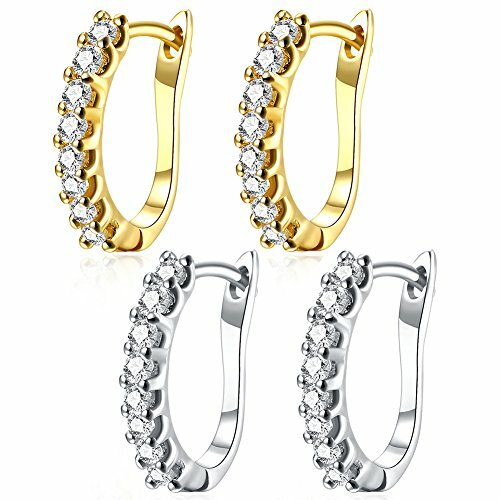 Small Diamond hoop earrings for women & girls, Match with Suitable Apparel for Different Occasion. A Perfect Gift for Christmas Day, Valentine's Day, Birthday, Anniversaries. Beautiful Gift for Mother, Grandmother, Daughter, Wife, Girlfriend, Sister, Aunt, Mom, Mum, Mother-in-law, Anniversary, Grandma, Nana, Granny. Occasion: Party, Wedding, Anniversary, Engagement, Birthday Gatherings. essem JAC is proud to bring one of our best selling handmade beaded jewelry to Amazon. This pair of classic 14K gold-filled beaded hoop earrings are accented with Swarovski(R) birthstone crystals so that you can customize your earrings in accordance to your birth month. The hoop earrings come in 3 different sizes(3/4", 1.25", 2") and 12 different birthstone crystals(garnet, amethyst, aquamarine, diamond, emerald, alexandrite, ruby, peridot, sapphire, pink tourmaline, citrine, and blue topaz). The handmade hoop earrings are beaded out of 14K gold-filled beads and accented with synthetically-created Swarovski(R) birthstone crystals. According to Lat & Lo, "gold-filled is easy to care for and will usually maintain its golden shine for a lifetime. The core metal is jewelers' brass. A gold alloy is then bonded to one or both surfaces of the brass core with heat and pressure. Unlike gold plated (aka electroplated or "dipped") metals, Gold-filled is legally required to contain 5% or 1/20 gold by weight." Material: Hypoallergenic Stainless steel with high quality black color Plated. 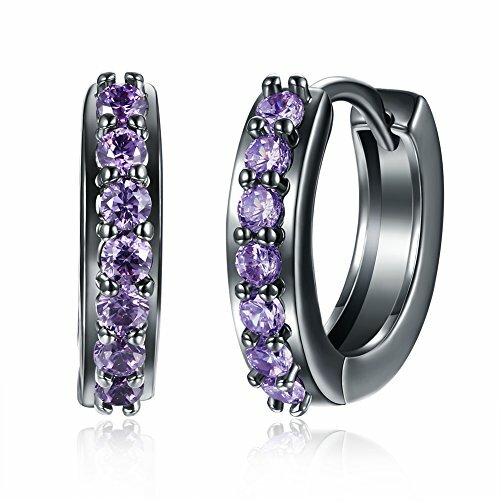 Huggie Round Hoop earrings for women & girls, Match with Suitable Apparel for Different Occasion. A Perfect Gift for Christmas Day, Valentine's Day, Birthday, Anniversaries. Beautiful Gift for Girls, Women, Mother, Grandmother, Daughter, Wife, Girlfriend, Sister, Aunt, Mom, Mum, Mother-in-law, Anniversary, Grandma, Nana, Granny. Occasion: Party, Wedding, Anniversary, Engagement,Christmas, Birthday Gatherings. 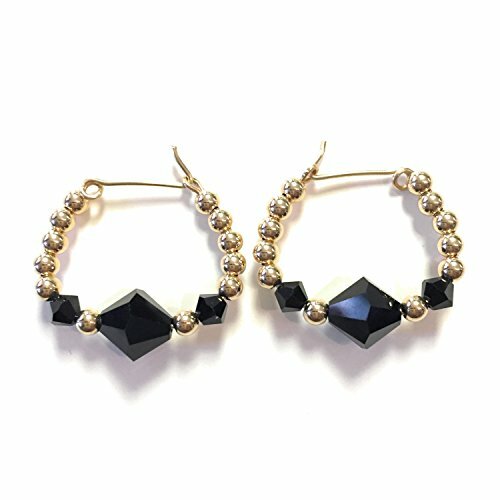 Looking for more Crystal Shine Small Hoop similar ideas? Try to explore these searches: Chrome Bridge Lavatory Faucet, Air Pressure Leg Massager, and Colors Dominican Flag. Look at latest related video about Crystal Shine Small Hoop. Hey Josephine : Kate Spade Earring for Sensitive Ears? Shopwizion.com is the smartest way for online shopping: compare prices of leading online shops for best deals around the web. 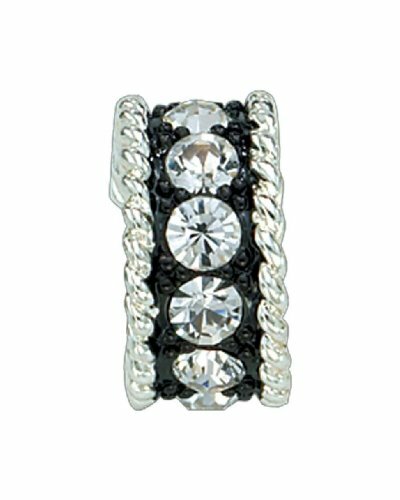 Don't miss TOP Crystal Shine Small Hoop deals, updated daily.